Perfect starter kits for your ever-changing site sizes. 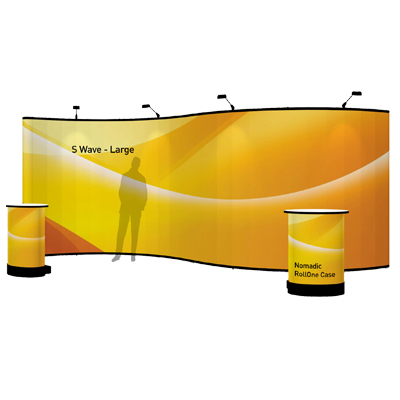 With the enormous amount of events in New Zealand, stand layouts or booth sizes can vary greatly due to the type of event or venue restrictions. 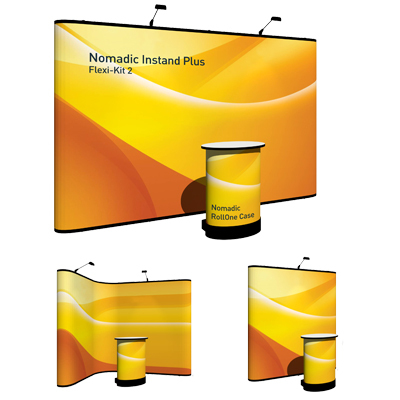 Our Nomadic Instand Flexi-Kits enable you to have convenient flexibility to reconfigure your display into different shapes or sizes. Nomadic Instand's ability to evolve has set it head and shoulders above other pop-ups. 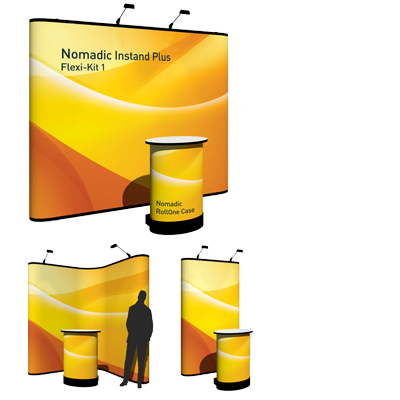 Nomadic Instand is still the world’s most popular pop-up because it delivers a professional, high impact graphic presentation that saves exhibitors time and money. 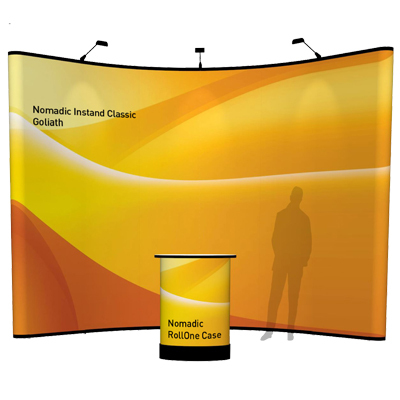 This is a smart, future-proofed, high quality display system with an extensive range of accessories available so that it can be added to or adapted to meet your changing marketing needs. Discounted pre-packaged display kits for the ultimate convenience. 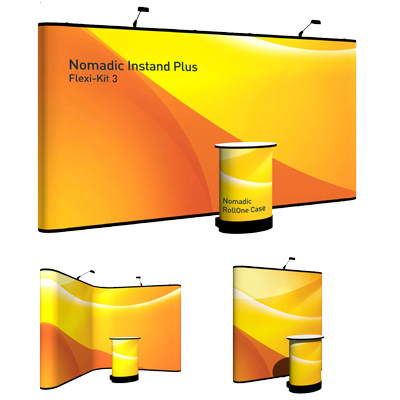 Compatible with all Nomadic Instand products. Cross-bracing throughout for superior stability. Tempered steel-on-steel hubs ensure maximum strength at all critical, high stress joints. High quality graphic panels attach to the frame's magnetic bars. LED and halogen lights available. 'No Questions Asked' lifetime hardware warranty. Need to be more flexible with your branding options? Velcro receptive panels are also available. Nomadic Instand is the hardest working, highest impact investment you’ll ever make. That’s because Nomadic Instand adapts to grow right along with you to deliver a life-long return on your investment. 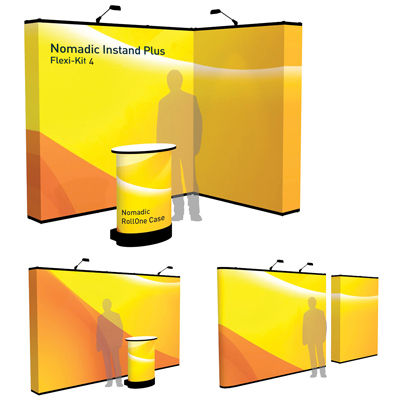 Nomadic Instand’s ability to evolve has set it head and shoulders above all other pop-ups. 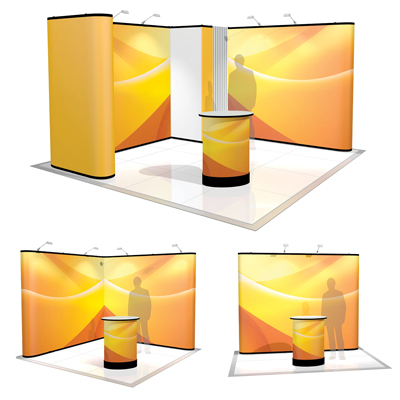 Don't just buy a simple pop-up, invest in a display system. Halogen and/or LED lights to brighten and enhance your display. Stand-off graphic headers (range of sizes and shapes available). 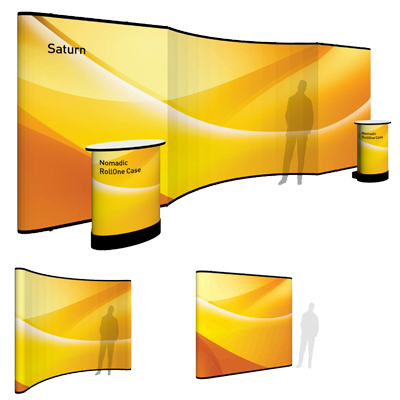 External shelving solutions to feature product or brochures. LCD mount for up to 20" screen. Incorporate an LCD screen up to 32". 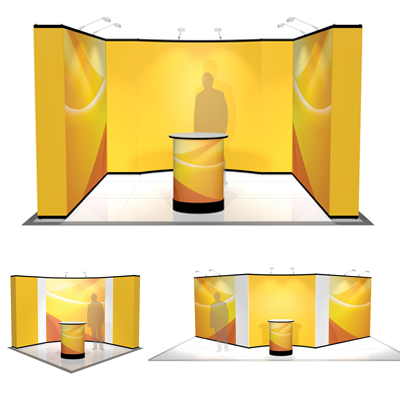 Curtain track and printed drape ideal for staff area, storage or changing room. Connectable height extensions for extra branding opportunities. 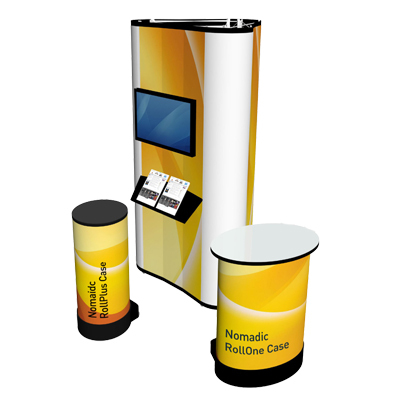 Smart shipping cases that convert to counters / plinths. 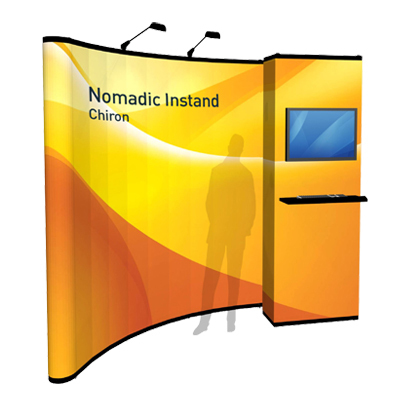 Integrated workstation / kiosk ideal for interactive displays. Connectable to other Nomadic Instand frames (to create endless shapes and sizes). Change your endcap shape for a different effect.